According to the CDC, 1,307 Missourians died from gunshot wounds in 2017. 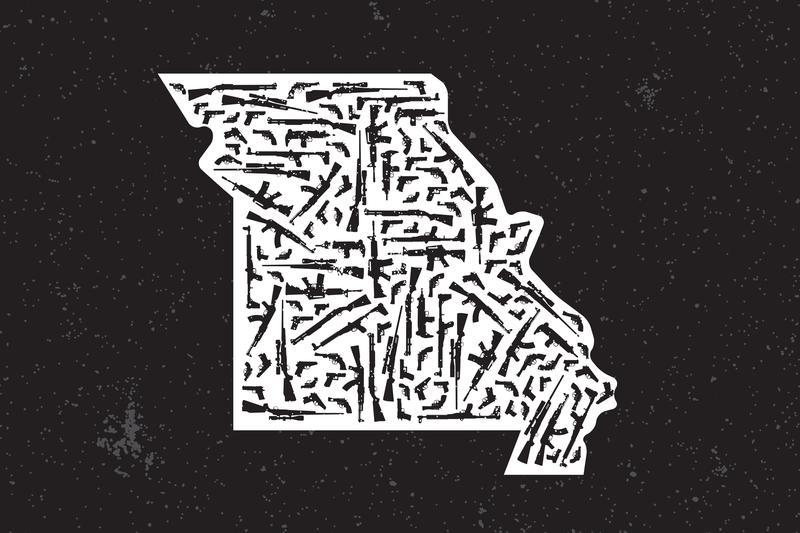 Missouri has one of the highest rates of gun-related deaths in the nation. New data from the Centers for Disease Control and Prevention rank Missouri sixth in U.S. for gun death rate, including intentional and accidental shootings. The CDC reports 1,307 Missourians died from gunshot wounds in 2017, an increase over the previous year. Dr. Laurie Punch, a trauma surgeon at Barnes-Jewish Hospital, considers gun violence a major threat to public health. The gun death rate in Missouri has been consistently higher than the national average since at least 1999. Slightly more people in Illinois died from gunshot wounds in 2017 than in Missouri. However, Illinois ranked 32nd in the U.S. for gun death rate, owing to its much larger population size. Each year, firearm mortality data are compiled from death certificate information reported to the National Center for Health Statistics. The process — which includes collecting and verifying the data — takes approximately 18 months. Beyond the numbers, Punch said gun violence is often viewed as a politically divisive issue, which can derail conversations about possible solutions. “We can sit here and be divided on the reasons why the bullet got there and not recognize that the bottom line is, bullets are vectors of death and they’re killing people for lots of different reasons at an alarming rate,” Punch said. The key, she said, is convening a range of experts — including law enforcement, healthcare workers and policymakers — and breaking down an “overwhelming” issue into manageable pieces. A number of local initiatives are working to reduce gun deaths, including the Counseling on Access to Lethal Means program at Washington University, which helps patients at risk of suicide temporarily store guns and other dangerous items they may have at home. In 2016, the non-profit Better Family Life launched several gun violence de-escalation centers in churches across the city of St. Louis and St. Louis County. At each location, staff work with individuals to resolve disputes without violence. The program is being considered as a model for other cities. Punch also co-founded Stop the Bleed STL, an organization that trains bystanders how to control severe bleeding in regions with high rates of gun violence. “There is no way gun violence is going to change unless we see all the myriad of forces that are causing it and approach them one by one with the expertise we all have,” she said.